The Sigur Center for Asian Studies and the GW Institute for International Economic Policy cordially invite to a special discussion with Mr. Xianbin Yao, Special Senior Advisor to the President of the Asian Development Bank (ADB). 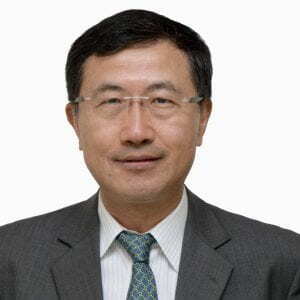 Mr. Xianbin Yao, Special Senior Advisor to the ADB President, will provide a historical perspective of ADB’s close partnership with developing countries in the Asia Pacific region. He will also discuss projected financing requirements to 2030 for infrastructure investment in the region, highlighting the sub-regional cooperation initiatives that are important factors driving this demand. The infrastructure investment needs of the region are huge and can only be met through coordinated efforts of governments, the private sector, multilateral financial institutions and bilateral donors. Mr. Xianbin Yao, Special Senior Advisor to the ADB President, has a wide range of development experience in the Asia Pacific region. He held several senior level positions within ADB, including Director General of the Pacific Department, Director General of Regional and Sustainable Development Department, Chief Compliance Officer of ADB, and Deputy Director General of East Asia and Central West Asia Regional Departments. Moderated by: Dr. Deepa M. Ollapally, Director of the Rising Powers Initiative and Research Professor of International Affairs, George Washington University.